Kalfula. 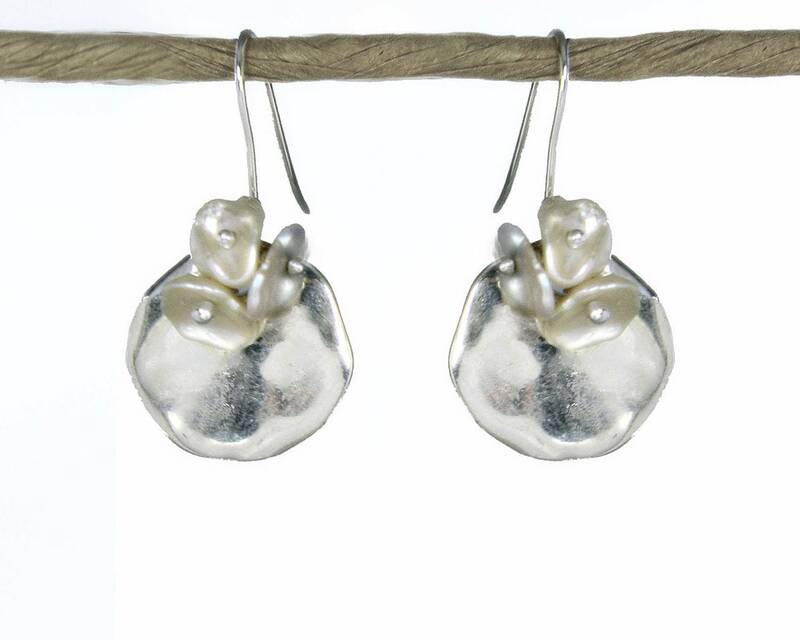 Moon Flower Earrings in Silver and Pearl. 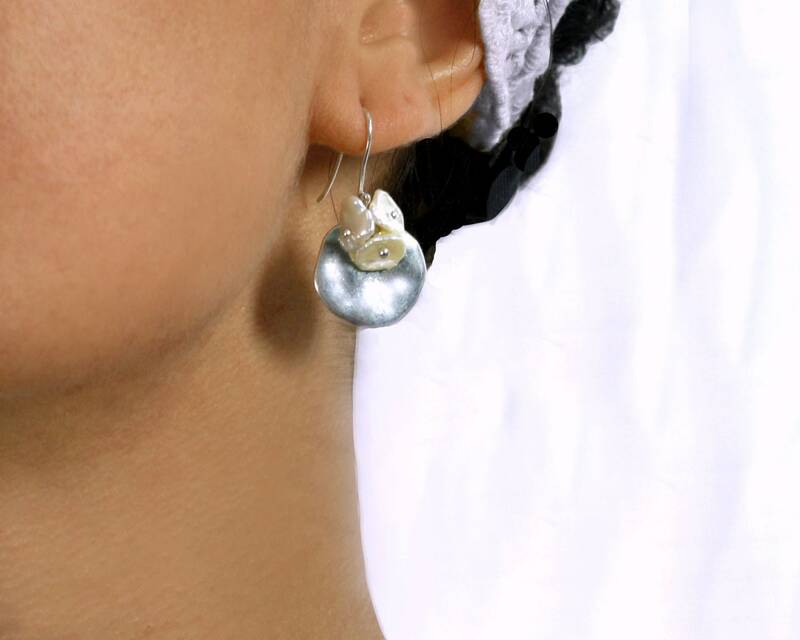 Greek Sterling Silver and Ceramic Disks with Keshi Pearls. 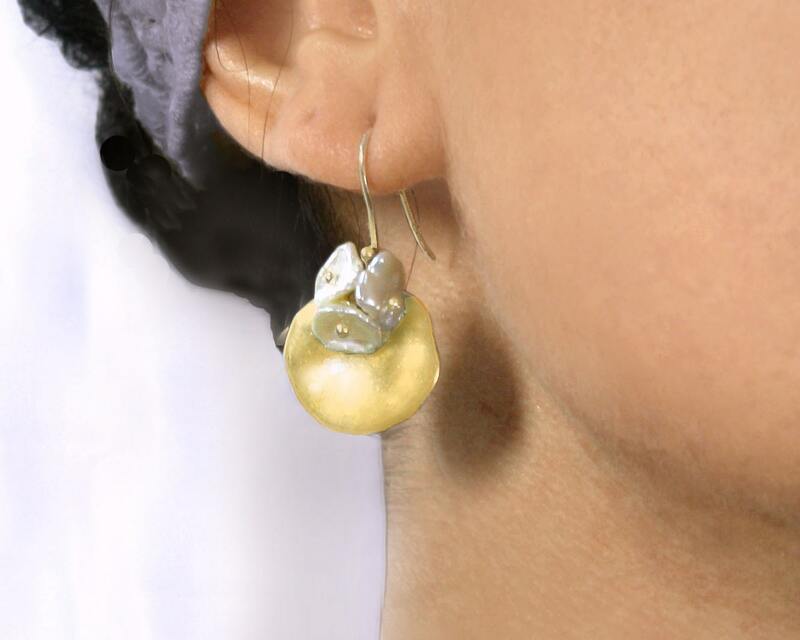 These are Modern romantic earrings. Made with two Sterling Silver over ceramic disks from Greece. The Sterling coating is thick and well bonded. they will last for years! Three little Keishi Pearls look like flowers. Earwire is Sterling Silver. 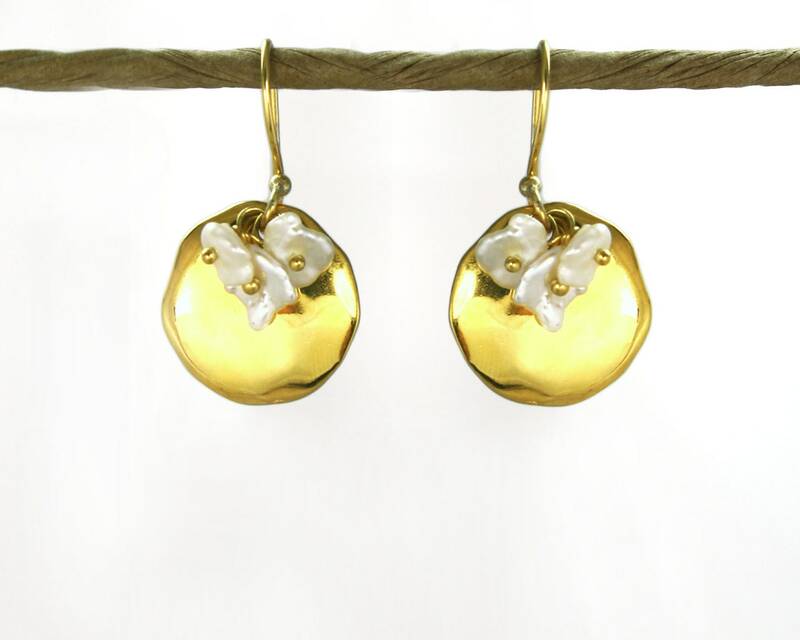 Also available in Gold Filled. 1.5" from the top of the ear wire. Pick your precious metal from the 1st drop down menu.